Samsung is widely rumored to be equipping the Samsung Galaxy S10 with an in-screen fingerprint scanner, but while earlier reports suggested that only the two priciest models would get the tech (with the cheapest version getting a scanner on the side instead), a new report says that all three models will get an in-screen scanner. 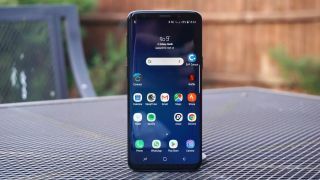 However, the cheapest model of the Galaxy S10 could still have an inferior scanner, as this new report – coming from sources in the display industry, speaking to The Investor – claims that the entry-level Samsung Galaxy S10 will have an optical scanner, while the two higher-end models will get an ultrasonic one. We’ve heard talk before of Samsung using an ultrasonic scanner, and it’s a better option than an optical one as while optical scanners just capture a 2D image of a fingerprint, ultrasonic ones can get a 3D picture, taking into account pores and ridges. This makes them more accurate, more secure and better able to work if the finger is wet or dirty or if there’s a lot of light. However, ultrasonic scanners are also more expensive. In fact, apparently they’re around three times as costly, so using an optical scanner would be one way Samsung could cut costs in the basic Galaxy S10 model. It’s believable that Samsung would opt for an in-screen scanner with optical tech on the basic Galaxy S10, but it’s also just a rumor for now, and one which is at odds with what we’d previously heard, so we’d take it with a grain of salt for now. We probably won’t know the truth for a while, as the Samsung Galaxy S10 is unlikely to be announced before February, but expect plenty more leaks and rumors in the meantime.